I’ve always been a very critical person when it came to myself. I like to call myself artistic. I play piano and guitar, paint, draw, crochet, make jewelery and bows… I’m certainly not a master in any of it. Knowing that whatever I was making or playing wasn’t perfect would always make me feel low. Eventually I’d stop doing whatever it was other than at home by myself or with Caleb. Now, that’s the thing. 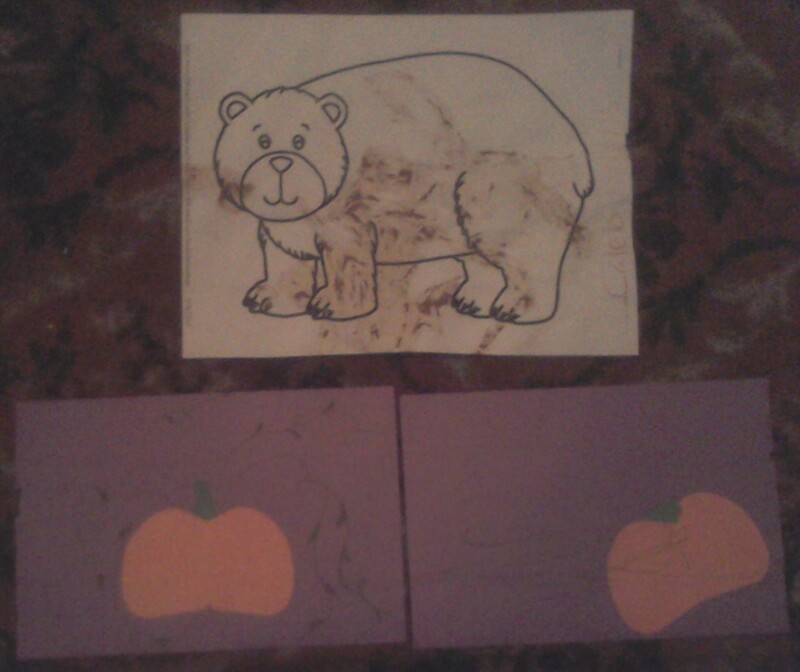 Caleb doesn’t know that his artwork wouldn’t be considered perfect. 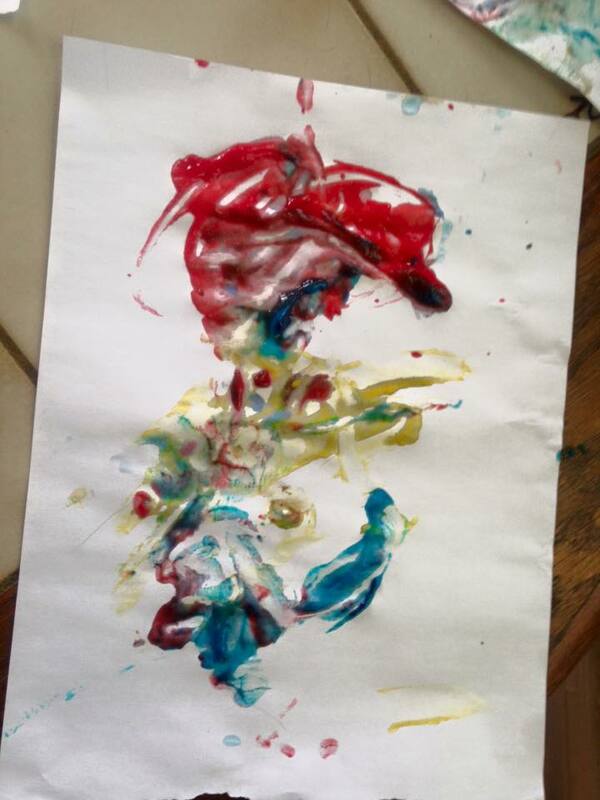 He doesn’t know that his finger paintings would be considered anything more than some splashes of colors. He is proud. He has fun making things. 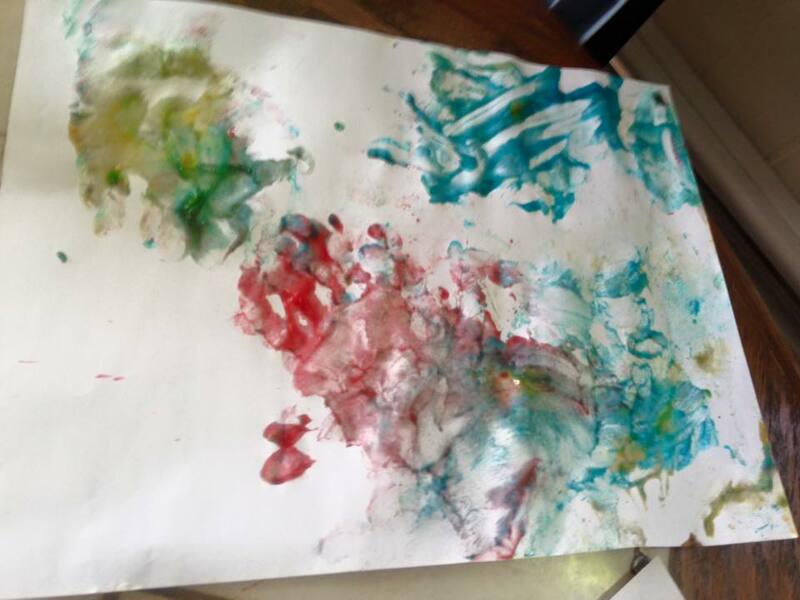 He takes pride in presenting his colorful art work and you know what? That makes it the absolutely most beautiful thing I’ve ever seen. He makes art, or strums his guitar, because it makes him happy. You should see him go at it screaming a little song and strumming his guitar for us. It’s just the sweetest thing to watch. We can all take a lesson from Caleb. Don’t take life so seriously. Don’t do things you enjoy for other. Do it for you. If you like to draw, do it. You don’t have to make a masterpiece as long as you have fun along the way. Kids are so smart. Let’s let them color our lives. 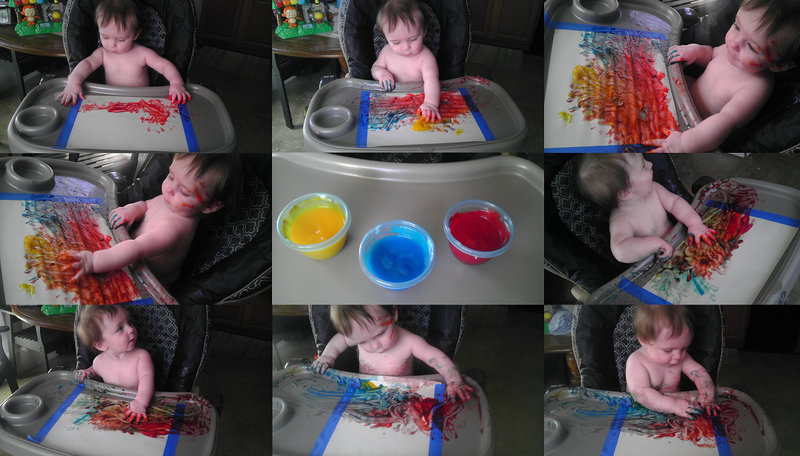 Baby Safe, Edible Finger Painting! Oh my goodness, this is the best thing I’ve made since I made, you know, my son! We had given our little man a pile of potatoes, a food he loves with all of this heart, the night before his six month half birthday. Yes, I cry just thinking about this fact. No, I’m not going to go on and on about it. I’m not a fan of crying! 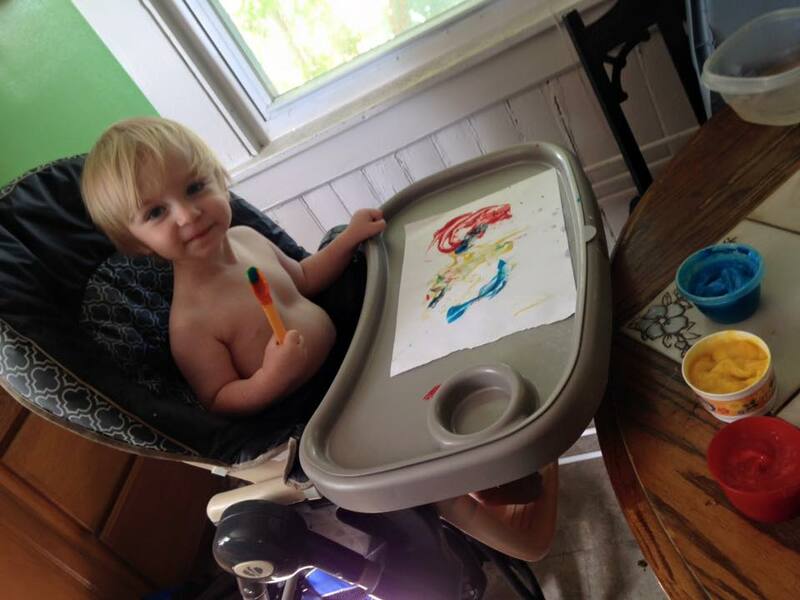 Anywho, Mr. Caleb just LOVED playing with the potatoes and smooshing them all around on his high chair. 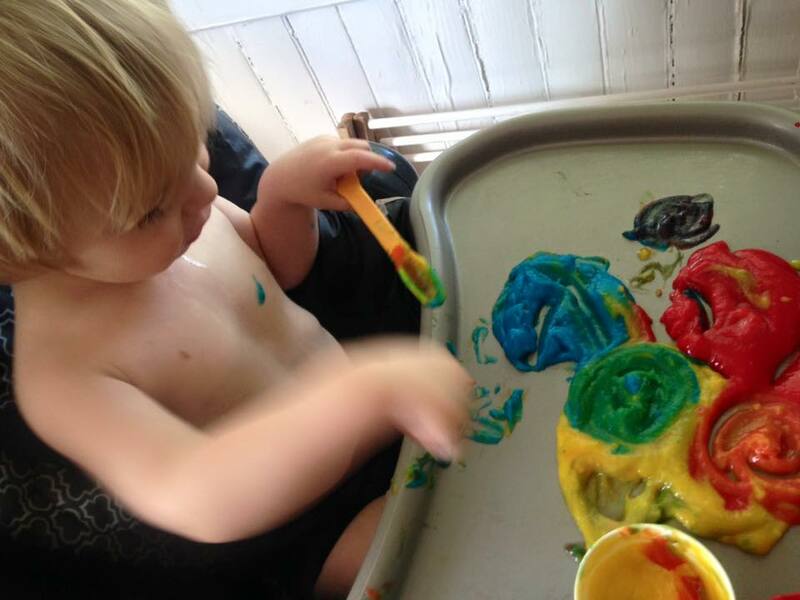 A nice shower was totally needed after wards but it made me think… Time for finger painting! 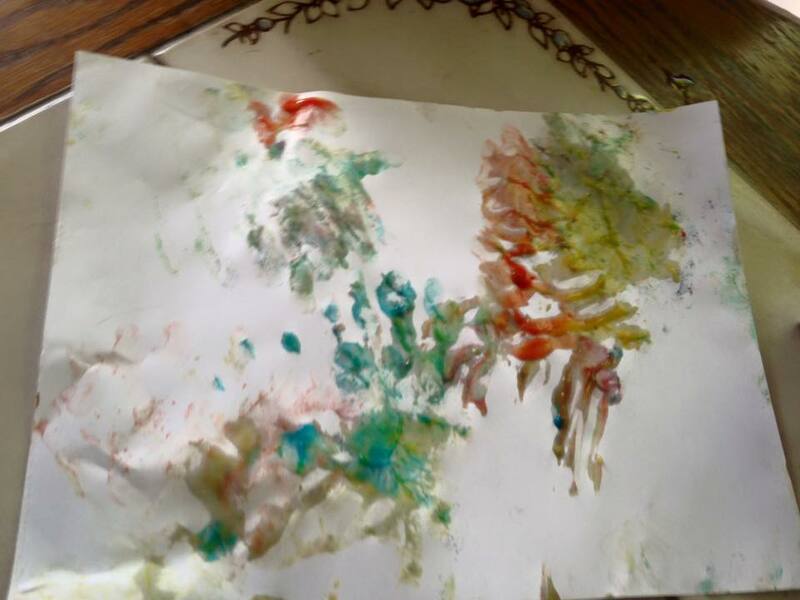 As all babies like to taste anything and everything they can get their hands on, I set out on a mission to make an edible but still usable paint. I went straight to Pinterest. Honestly, I was disappointed with most of what I saw. 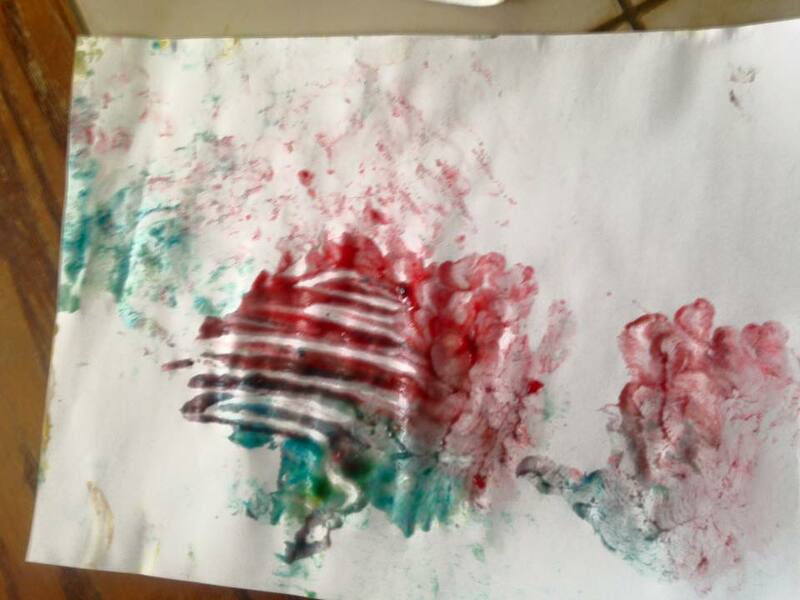 None of the things people were making had the same consistency as regular finger or tempura paint. If I was going to do this, I wanted to do it right. Finally I came to a recipe that seemed simple enough and the results looked like real paint. 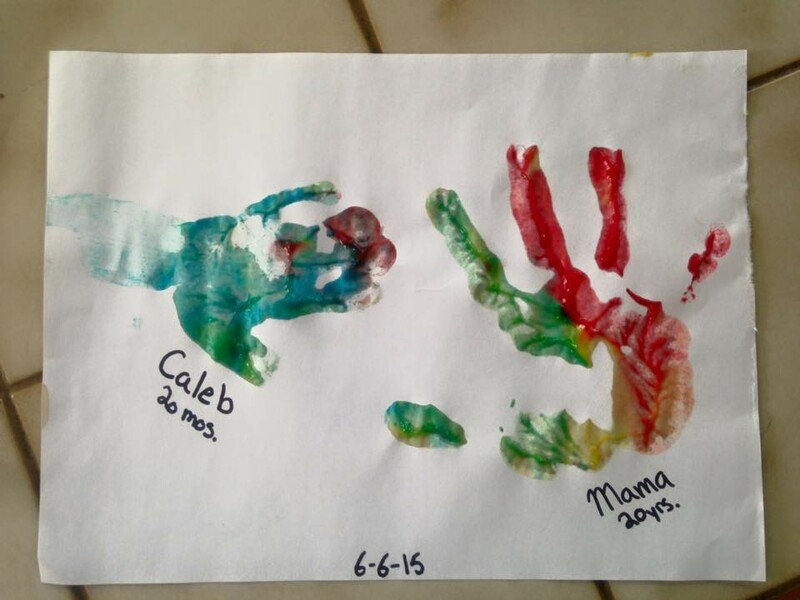 Not that the food coloring in potato idea was bad, Caleb would love it I’m sure, but I really wanted to have something that would last and not just chip away but wouldn’t dye him too badly either. At last, here is the super simple recipe that we used. It was a total blast and I hope you have fun with it as well! *You can use natural alternatives such as powdered juice, tea, or anything else you can think of. That way people with food dye allergies or sensitive skin can use it too. Add all of the ingredients, besides the dye, together in a pot. Constantly whisk and let boil until the right consistency, something close to tempura paint. Afterwards, add the dye to the mixture. There is enough for six colors easily from this recipe. I ended up putting it in the freezer afterwards so I could use it right away. I recommend letting it cool by itself instead as it thickened quite a bit when I cooled it in the freezer. Simple as that though. 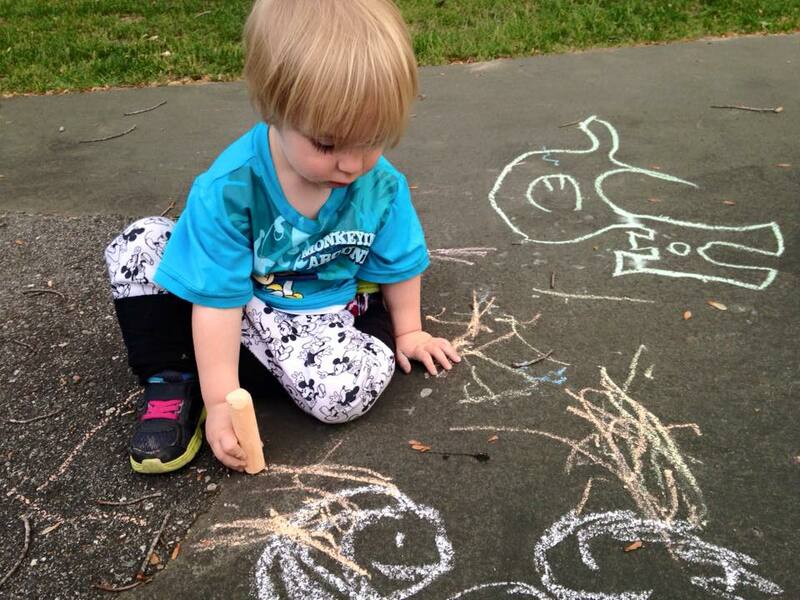 It doesn’t stain little one, it’s totally fine for them to eat, and it cleans up super easily. 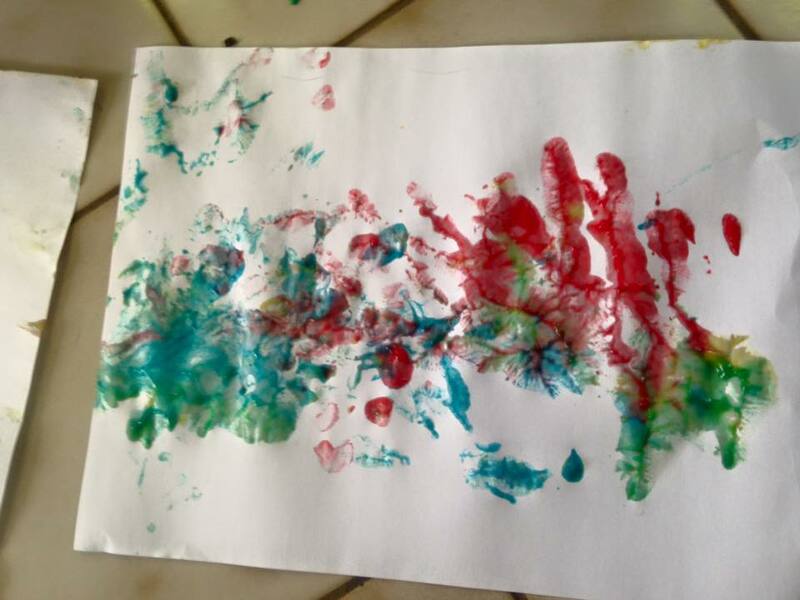 Never spend money on finger paint again!